17 - 21 December, Santiago, Chile. Some local information, including transportation options from the airport and some restaurants near the University can be found in this page. Accepted contributions and tentative programme. The list of accepted papers can be seen here, and a tentative programme here. A booklet with the talks descriptions can be found here. Submission deadline has been extended ! Conference: 17 - 21 December 2018. This year, the conference will be partially oriented to explore connections between these topics and the theory of dynamical systems. Felipe Cucker , City University of Hong Kong. Mathieu Hoyrup, INRIA, Nancy, France. Takayuki Kihara, Nagoya University, Japan. Bryna Kra, Northwestern University, USA. Neil Lutz, University of Pennsylvania, USA. Alejandro Maass, CMM-DIM Universidad de Chile. Keng Meng Ng, Nanyang Technological University, Singapore. Pablo Shmerkin, Universidad Torcualto Di Tella, Argentina. Michael Yampolsky, University of Toronto, Canada. Santiago Figueira , Universidad de Buenos Aires, Argentina. Anahi Gajardo, Universidad de Concepción, Chile. 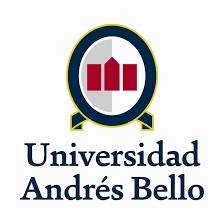 The conference will be hosted by the Departamento de Matemáticas at Universidad Andrés Bello, which is located in the República neighborhood (subway station "República") in Santiago de Chile. The conference will take place in the Building R5 of the University, which is located in Avenida Republica 399 (in the corner with Gorbea street). The main conference room will be R5-203, and we will have a nearby room for work. The Hotel Conde Ansúrez is conveniently located in Av. República 25. We have arranged with them the following special rates (BT) for the conference participants: single room $ 37000; double room $ 45000; triple room $ 53000. To book one please send them an email directly to reservas@ansurez.cl using the reservation code CCR2018-UNAB. Please also send a copy of your booking email to ccr2018@mat-unab.cl . Alternatively, Barrio Lastarria (north of Universidad Católica subway station) and Providencia (around Pedro de Valdivia subway station) are very nice, easy to reach neighborhoods, with an excellent offer for accomodations. No full papers will be required for this conference. After the deadline for submissions has expired, submissions may still be accepted for reviewing at the discretion of the PC chairs. If you are planning to attend the conference, please fill out the following registration form (or click here ) as soon as possible. No proceedings will be published before the conference. A booklet with abstracts will be made available at the conference. For questions, in particular about scientific aspects of the meeting, please contact the chairs of the programme committee. Inquiries about organizational matters such as registration or accommodation are best addressed to the local organizing committee. Verónica Becher (Buenos Aires, Argentina), Laurent Bienvenu (Montpellier, France), Rod Downey, chair (Wellington, New Zealand), Denis Hirschfeldt (Chicago, United States), Elvira Mayordomo (Zaragoza, Spain), Wolfgang Merkle (Heidelberg, Germany), Nikolai K. Vereshchagin (Moscow, Russia), Liang Yu (Nanjing, China). Funding opportunities for student members of the Association for Symbolic Logic (ASL) are available. Applications should be directed to the Association for Symbolic Logic three months prior to the meeting, following these instructions. The layout of the webpage has been adapted from the style of the CCA conference series and is used by courtesy of Vasco Brattka.